What is Our Family Life all about? Welcome to Our Family Life. Want to find out more about us? Grab a cuppa and have a read. Our Family Life started in 2009. At the time I was the Art Editor for The Sunday People newspaper. One of my colleagues who was looking after our website asked people if they wanted to write a blog. I said I would write one, but I had no idea what it was. I always put myself up for extra work before realising what's involved! After doing some research, I found a few inspirational UK parent bloggers out there and thought our family life would make content other parents could relate to or help them. After 6 months of writing blogs, reviewing products, travel reviews and family days out. I had gained many contacts working with PRs. I carried on blogging when I went on maternity leave with our second child. After returning to work a few months down the line, one day out of nowhere, I got a call on my way in to work from our Deputy Editor. He asked me if I would be interested in writing a column in the paper. I was shocked, nervous and most of all excited. I said yes straightaway. My full page column in The Sunday People ran for 32 editions. It was called 'Family Life'. I come from a design background so writing wasn't what I had trained to do. I wrote from the heart and as though I was talking to someone in front of me. I really enjoyed it. I sourced the content, wrote it, designed it and did the image production too! I also got help from my husband Mark, who is a stay at home dad, so he brought another angle to our family life. And from my very clever sister-in-law Jenni, who has 2 boys (our nephews) and is an amazing writer and fab at cooking so gave me some wonderful recipes. When 'Family Life' came to an end in the paper, I wanted to preserve and write more so I launched 'Our Family Life' website. This website has grown over the years just like our family has. And it is a great way for us to share the good and bad of family life. When time flies by so quick, it's great to have this to look back on, and remind our daughter who says she never gets to go anywhere, just exactly where we have been on our travels! This website is a bit different to just another blog - we are a family of bloggers and all like to be involved. Through this website, our family have had some fantastic experiences and I personally have gone out of my comfort zone to learn new things, all have been really enjoyable. My husband Mark and I also write features on mirror.co.uk and we have worked with The Sunday People, The Sunday Mirror, The Daily Mirror, Take it Easy magazine and Lighterlife magazine. 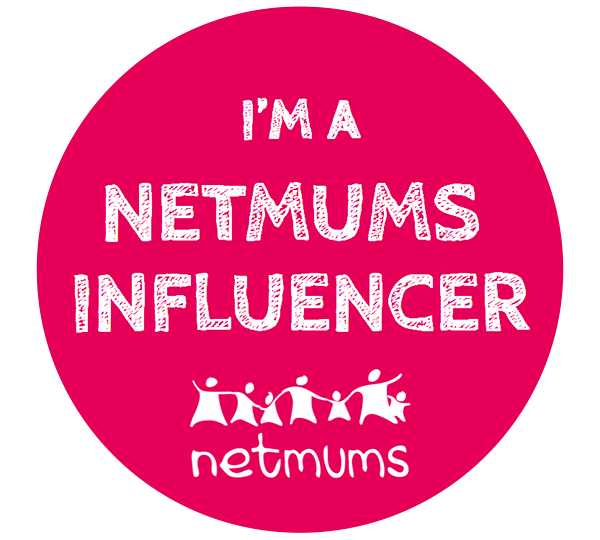 I've been on BBC Radio 5 live, we have recorded videos for Mumsnet, and recently I have been very excited to be involved in recording 11 vlogs for child internet safety experts Internet Matters. I'm Adele, the one who writes most of the content on here. I'm mummy to two wonderful children, Amber and Jacob - there's never a dull moment in our house. I work full-time in London as the Art Director for The Sunday People and Sunday Mirror newspapers. I love my job. My days are spent working full-time enjoying my job designing newspaper pages, pullouts, logos, special magazines and anything else I say yes to - I always say yes! On my days off and late evenings when the kids are in bed, I like to write content for Our Family Life. We made the decision when I became pregnant with Amber that Mark would give up his job and be a stay at home dad and this has worked out really well for us Mark is a brilliant dad. I love learning and trying new things. I am a very need to know person and always like to read up on whatever I am involved in and really enjoy learning how to do things from YouTube tutorials - even if it is a smart 12 year old telling me what to do! If I do get a spare few minutes, I love to crochet, something my grandma taught me when I was a little girl. I've also just got in to Bullet Journaling, and because I love to write and draw this has been the perfect thing for me and keeps me organised. I'm a bit of a geek, I love technology and I'm also addicted to social media. I am still one step behind Amber though! Mark and I met at college in 1994, it took us 14 years to get married - we didn't want to rush these things! And we have now been together for 22 years! I'm a Yorkshire girl, and yes after all these years away from my childhood home, I still have my accent and proud of it I am too! Mark is brilliant at anything he turns his hand to, be it DIY, writing (he writes really funny) or anything else for that matter. Being a stay at home dad hasn't been easy at times. He's quite a shy person (unlike me), and he hated the thought of taking Amber to the parent and toddler groups (or the mum chat groups as he called them). He gets frustrated at all the things aimed at mums and not dads! Without him, we wouldn't have the life we have now and I couldn't have gone back to work. We decided he would stay home to look after our first child Amber. He gave up working 2 weeks before she was born and I honestly can say I don't know what I would have done without him in those first few weeks from leaving hospital with our tiny bundle of preciousness or when I went back to work and felt like I was missing out on our children's first milestones. He would send me pictures on my phone which would make me feel a lot better - the wonders of modern technology! Or even to this day when he is the one taking Jacob to school, or taking Amber's gym kit that she has forgotten down to her school. I even forgave him for accidentally leaving out my 3 months worth of breast milk I had frozen for my return to work! I am very lucky, and so many people have asked if he is for hire. He does all the cooking, cleaning, washing, I could go on. He really is a super hero dad. Our clever, smart, funny and pain in the bum at times daughter Amber really is our precious girl. She's our first born and has recently become a teenager and is a typical teen at that! When we aren't pestering her to do her homework, she loves gaming. She's very much into her Xbox and loves playing against her friends on Xbox live. She's brilliant at multi-tasking, she can play her Xbox, talk to her friends on facetime or oovoo whilst using her laptop and iPad all at the same time! She started her own YouTube channel, but that took a back seat when she started secondary school, now she wants to do more gaming videos. 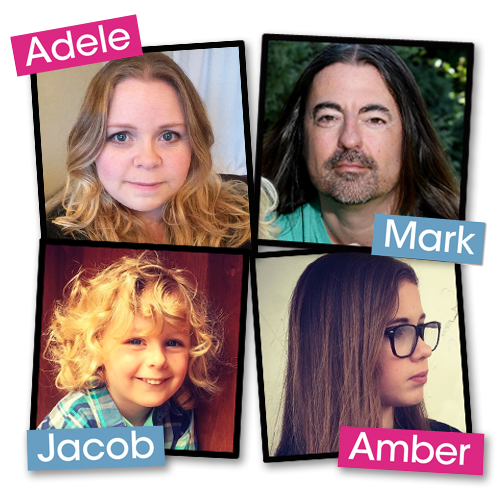 Jacob is our precious son, he's 7 years younger than Amber and he definitely keeps us on our toes. A very loving, funny, entertaining little boy. And he's certainly not shy (I think he gets that from me)! He has a mop of gorgeous curly blonde hair.